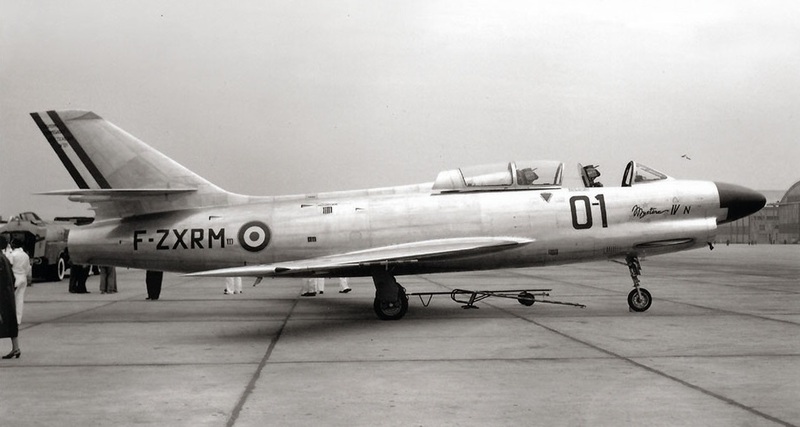 28 September 1952: At Aérodrome de Melun Villaroche, test pilot Kostia Rozanoff made the first flight of the Dassault MD.452 Mystère IV jet fighter prototype, 01. The flight lasted 25 minutes. 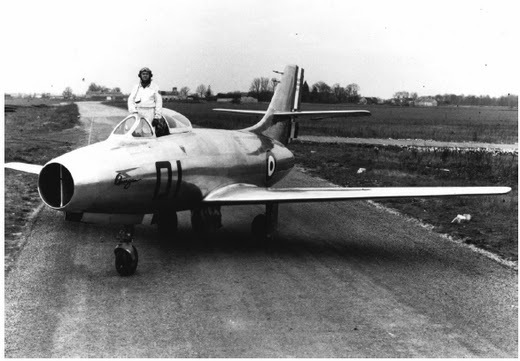 The aircraft was developed from the earlier Mystère II. The design specification called for the new fighter to reach Mach 1 in a dive. The wings were swept to 38° rather than the 30° of the II, and thinner, using a different curvature. The fuselage also had a different cross section. The new airplane reached 0.92 Mach in level flight and later in testing, broke the Sound Barrier in a dive. 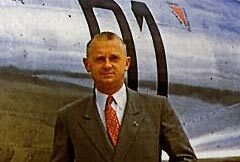 The prototype used a Rolls-Royce RB.44 Tay turbojet engine, though production Mystère IV A aircraft used a license-built copy, the Hispano-Suiza Verdon 250. 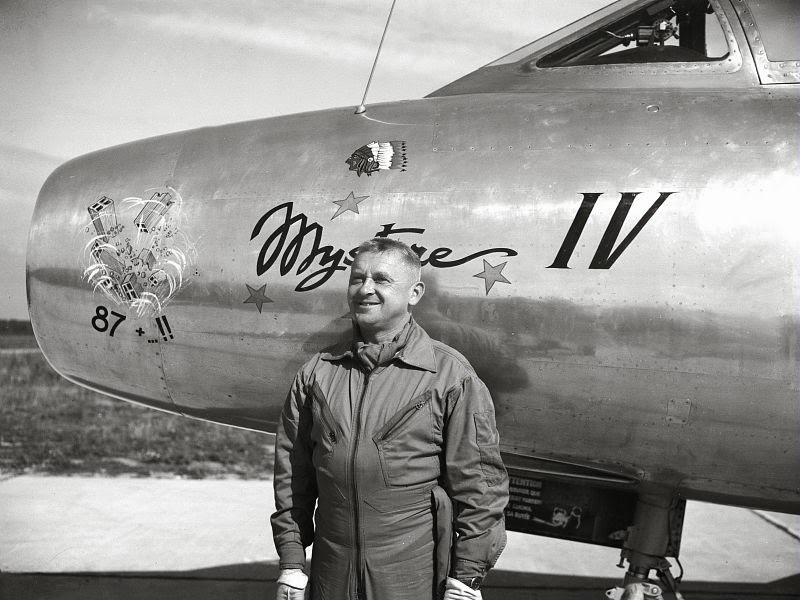 The Mystère IV A was a single-place, single-engine swept wing jet fighter bomber capable of transonic speed. It was 12.85 meters (42 feet, 1.9 inches) long, with a wingspan of 11.12 meters (36 feet, 5.8 inches) and overall height of 4.46 meters (14 feet, 7.6 inches). The airplane had an empty weight of 5,850 kilograms (12,897 pounds). Maximum speed was 1,120 kilometers per hour (696 miles per hour). The service ceiling was 15,000 meters (49,213 feet). The fighter bomber was armed with two 30 mm revolver cannons with 150 rounds of ammunition per gun, and up to 1,000 kilograms (2,200 pounds) of bombs on hardpoints under the wings. 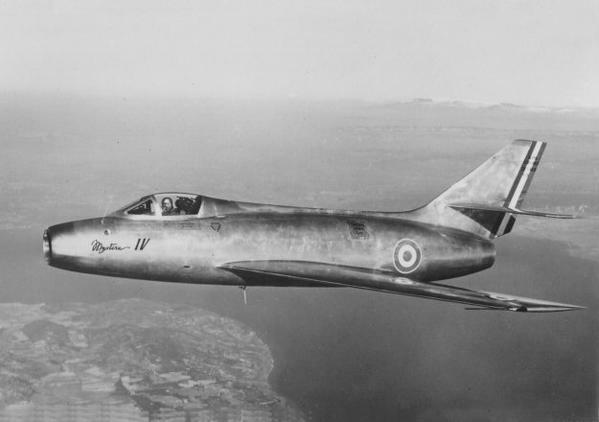 411 Mystère IV A fighters were built by Société des Avions Marcel Dassault from 1954 to 1958. 242 were delivered to the Armée de l’air (the French Air Force). 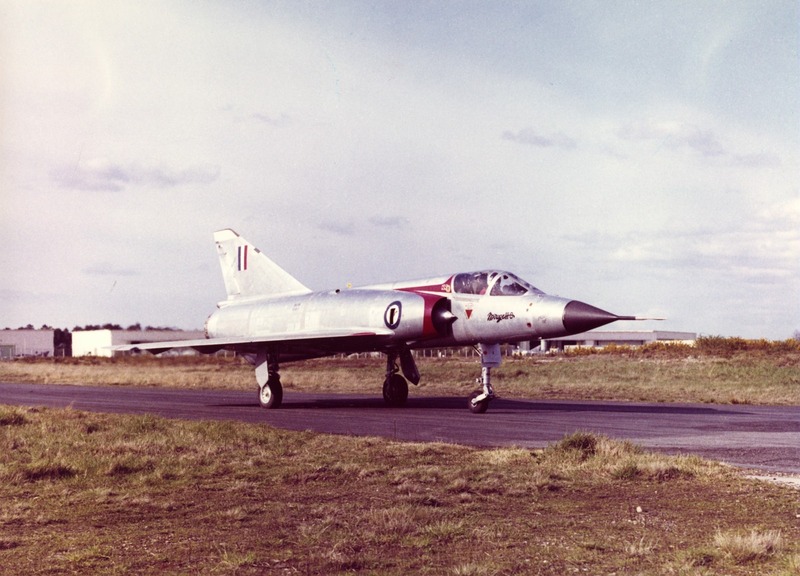 The Dassault Mirage III C was the first production variant of the Mirage series. 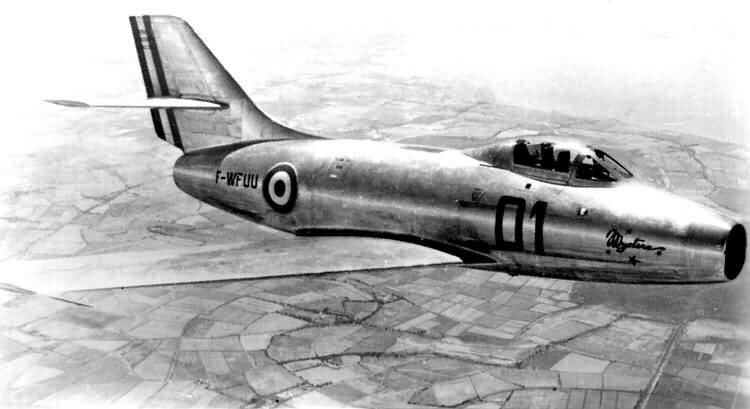 It was a single-place, single-engine tailless-delta-wing interceptor designed for Armée de l’air (the French air force), with variants for export. 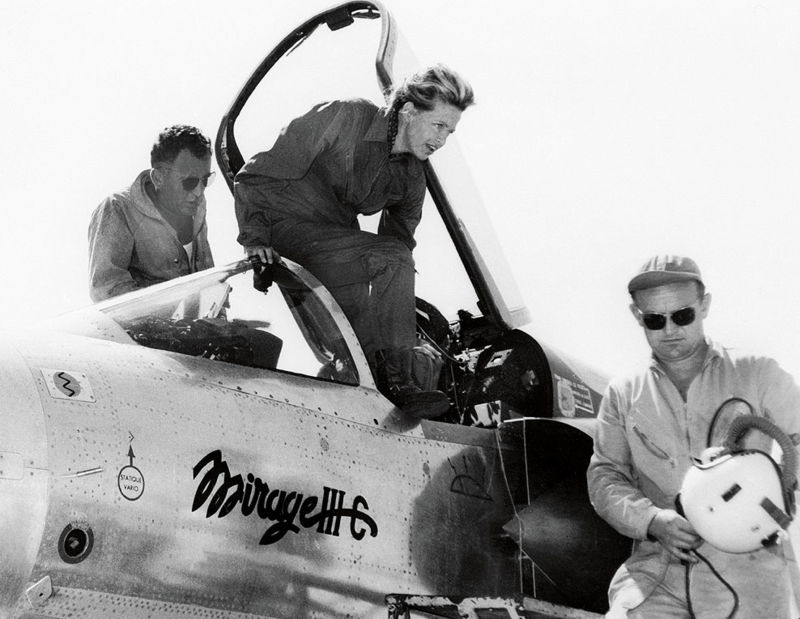 It was designed as a light-weight fighter capable of Mach 2 speeds. The Mirage III C was 45 feet, 5 inches (13,843 meters) long with a wingspan of 27 feet, 0 inches (8.230 meters) and height of 14 feet, 9 inches (4.496 meters.) The fuselage had a horizontal ellipse cross section and incorporated the Area Rule, similar to the delta wing Convair F-102A. The Mirage IIIC had an empty weight of 12,350 pounds (5,602 kilograms) and maximum takeoff weight of max gross 22,860 pounds (10,369 kilograms). The interceptor’s low-mounted delta wings used trailing edge flight controls, with ailerons outboard, elevators at the center and small trim tabs inboard. The leading edges were swept aft to 60° 34′ and there was 2° 30′ anhedral. The total wing area was 366 square feet (34.00 square meters). 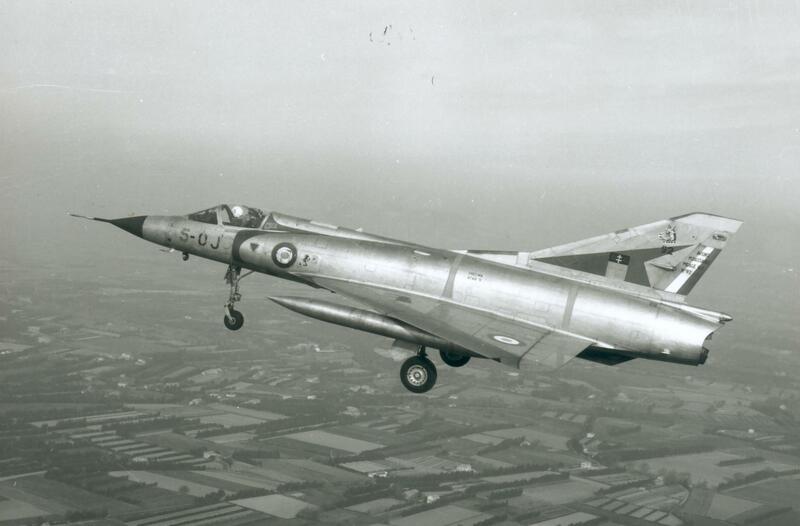 The Mirage III C was powered by a Société nationale d’études et de construction de moteurs d’aviation (SNECMA) Atar 09C single shaft, axial-flow turbo-réacteur (turbojet engine) with afterburner. The engine used a 9-stage compressor section and 2-stage turbine. It was rated at 9,430 pounds of thrust (41.947 kilonewtons), and 13,669 pounds (60.803 kilonewtons) with afterburner. The Atar 09C was 5.900 meters (19 feet, 4.28 inches) long, 1.000 meters (3 feet, 3.37 inches) in diameter and weighed 1,456 kilograms (3,210 pounds). When configured as a high-altitude interceptor, the Mirage could be equipped with a hypergolic liquid fueled Société d’Études pour la Propulsion par Réaction SEPR 841 rocket engine mounted under the rear fuselage. When the booster pack not used, a small additional fuel tank would be mounted in the same position. The Dassault Mirage III C could climb to 30,000 feet (9,144 meters) in 3 minutes, 60,000 feet (18,288 meters) in 6 minutes, 10 seconds, and reach 72,000 feet (21,946 meters) in 9 minutes. It had an economical cruise speed of 0.9 Mach at 40,000 feet (12,192 meters), and maximum speed of Mach 2.3 at 36,000 feet (10,973 meters). The maximum range with external fuel tanks was 1,850 miles (2977 kilometers). The interceptor was equipped with search radar and a missile targeting computer. Armament consisted of a modular gun pack with two Direction des Études et Fabrications d’Armement (DEFA) 5-52 autocannon with 125 rounds of ammunition per gun (the targeting computer had to be removed for this installation). A Nord AA.20 guided air-to-air missile could be carried under the fuselage on a centerline hardpoint, or a AS.30 air-to-ground missile. Both of these were controlled by the pilot through a cockpit joystick. Alternatively, two Sidewinder infrared-homing air to air missiles were carried on underwing pylons. 95 Mirage IIICs were built. The served with the Armée de l’air from 1961 to 1988. ¹ FAI Record File Number 12391. 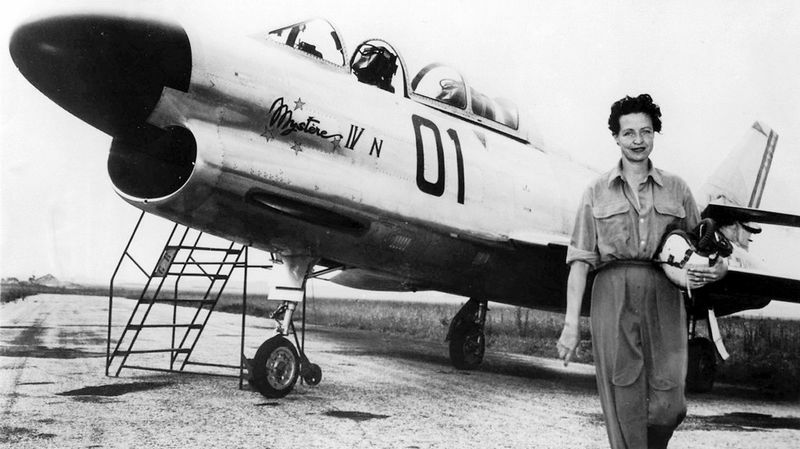 31 May 1955: Test Pilot Jacqueline Marie-Thérèse Suzanne Douet Auriol flew the Dassault MD.454 Mystère IV N to a Fédération Aéronautique Internationale (FAI) World Record for Speed Over a 15/25 Kilometer Straight Course at Brétigny-sur-Orge, France.¹ Her average speed of 1,151 kilometers per hour (715 miles per hour)—0.94 Mach—broke the previous record which had been set two years earlier by her friend, Jacqueline Cochran. Jacqueline Auriol was awarded the Harmon International Trophy for 1955, the third of four that she would receive. The Société des Avions Marcel Dassault MD.454 Mystère IV N 01 was the first of two prototype two-place, single-engine, swept-wing interceptors. 01 was first flown 19 July 1954 by test pilot Gérrard Muselli. It had a large air-search radar mounted over the intake and was armed with 52 rockets carried in a retractable tray in the belly, very similar to the North American Aviation F-86D Sabre. The fuselage had been lengthened over the single-seat Mystère IV to provide space for the second cockpit. The Mystère IV N was 49 feet, 11 inches (15.215 meters) long with a wingspan of 37 feet, 6 inches (11.430 meters) and overall height of 15 feet, 1 inch (4.597 meters). Its empty weight was 15,741 pounds (7,140 kilograms) and maximum takeoff weight was 22,572 pounds (10,238 kilograms). 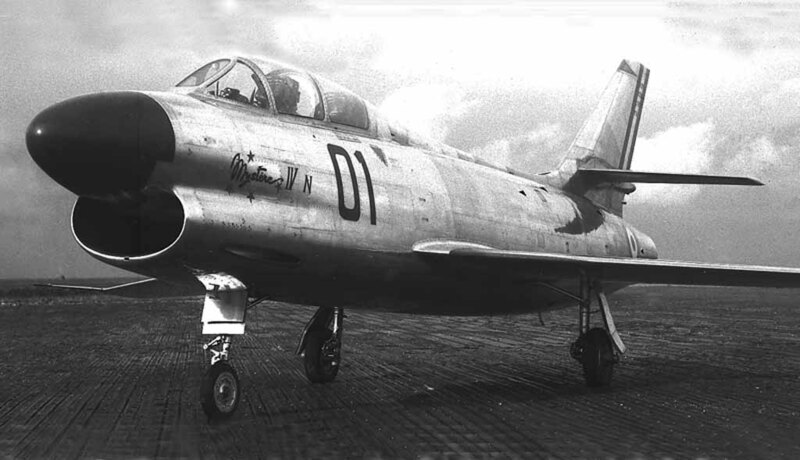 The Mystère IV N was powered by a Rolls-Royce Avon RA.7R axial flow, afterburning turbojet engine. It used a 12-stage compressor, 8 combustion chambers and 2-stage turbine. It produced 9,500 pounds of thrust (42.258 kilonewtons) at 7,800 r.p.m., with afterburner. The engine was 42.2 inches (1.072 meters) in diameter, 276 inches (7.010 meters) long and weighed 2,960 pounds (1,343 kilograms). 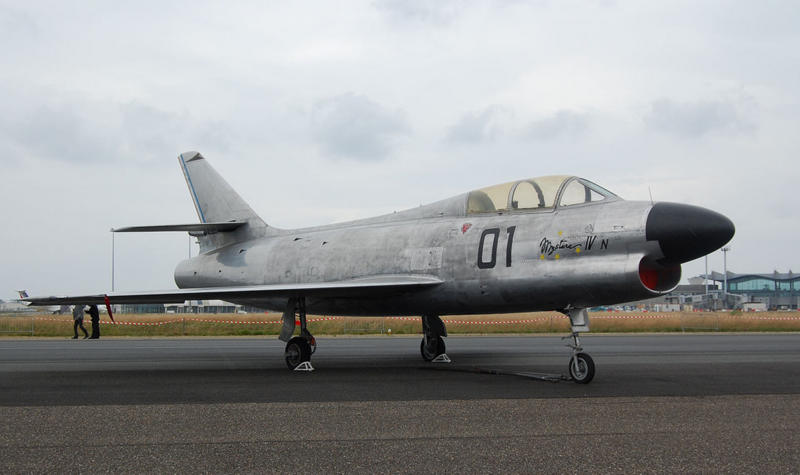 Jacqueline Auriol’s record-setting Dassault Mystère IV N 01 F-ZXRM is on display at the Conservatoire l’Air et l’Espace d’Acquitane, Bordeaux Merignac Airport, France.